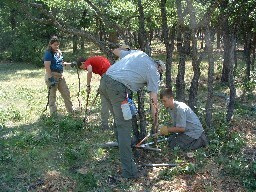 All participants in High Adventure Treks are required to participate in three hours of conservation work during the trek. 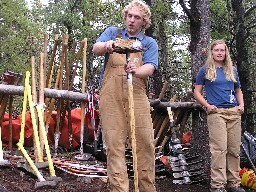 Typically the for mat is 1 hour of orientation and 2 hours of labor. 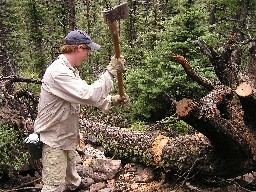 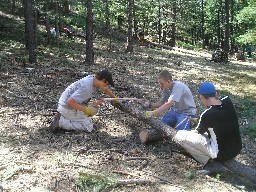 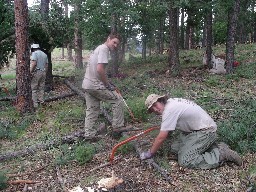 Projects range from trail building to forest thinning to clearing of brush. 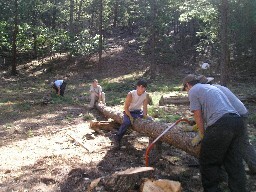 The location of this activity varies year to year depending on the needs of the ranch. 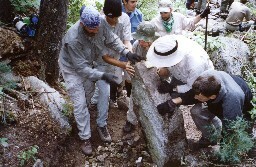 In 2004 a new trail to Black Mountain was built from Beaubien … this work continued in 2006. 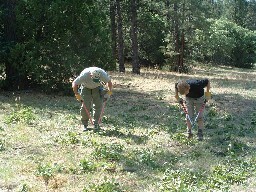 In 2006 the meadow at Cimarroncito was reclaimed by thinning less desirable trees. 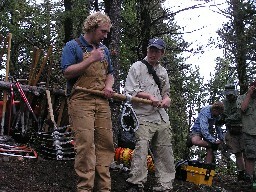 These both represent multi year efforts.